Native Instruments has released version 2.2 of Maschine, a major update of the acclaimed integrated hardware/software groove production system. New features include Smart Play™, adding new melodic capabilities, unified sound browsing, full KOMPLETE KONTROL S-Series keyboard integration, Light Guide™ synchronization, and more to the MASCHINE workflow. The MASCHINE 2.2 update adds a powerful new melodic dimension to the MASCHINE workflow. 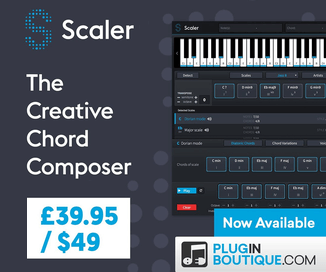 The Smart Play™ features include a new scale and chord engine, as well as a fully-functional arpeggiator. Producers can select from a range of popular musical scales and chords, and perform them into their productions directly on MASCHINE’s 16 high-sensitivity pads. The arpeggiator allows precise control of direction, octave span, and subdivision – its output is also recorded directly into MASCHINE’s Pattern Editor, providing easy post-performance editing of the note sequences. The update also unlocks MASCHINE STUDIO’s touch-sensitive knobs for an even faster, touch-and-see workflow. MASCHINE 2.2 also brings full KOMPLETE KONTROL S-Series integration to MASCHINE. 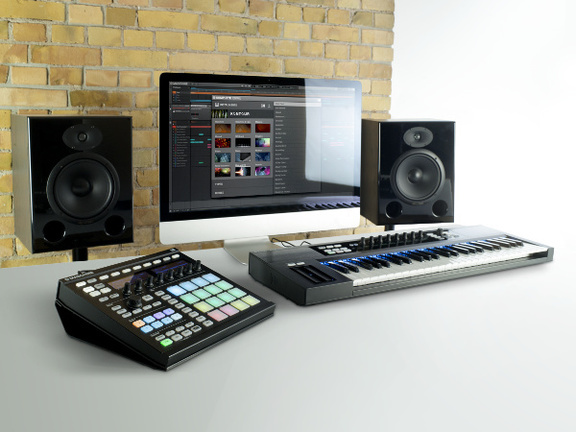 Producers can browse instruments and effects in the MASCHINE software directly from an S-Series keyboard. Once an instrument or effect is loaded key parameters automatically map to the display knobs on both pieces of hardware. The luxurious Fatar keybeds add a new level of fluid expression. Light Guide™ also synchronizes perfectly with MASCHINE’s pads, giving producers the same level of feedback on both pieces of hardware when switching from beats to melodic playing. The update is free for all current Maschine 2 owners. Maschine users who have not yet updated to the Maschine 2 software can purchase the upgrade for $49.50 USD/49.50 EUR/£44.50 GBP until December 12th, 2014.